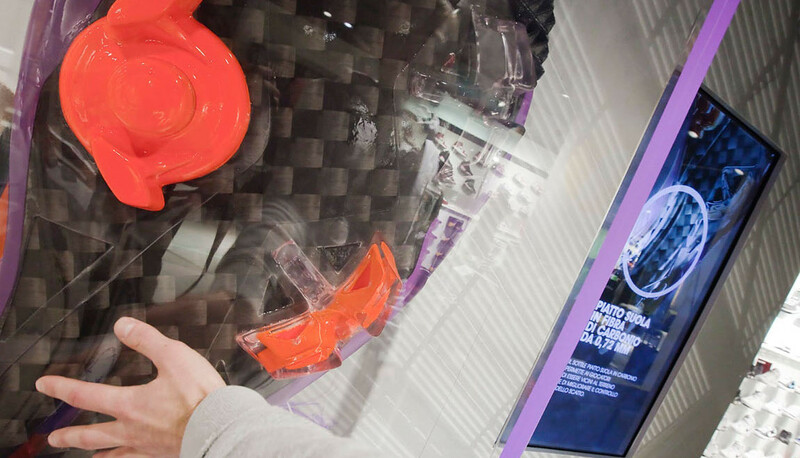 Sartoria was asked to design an interactive experience for the consumer to discover the futuristic features of Mercurial Vapor SuperFly II in Nike flagship stores. 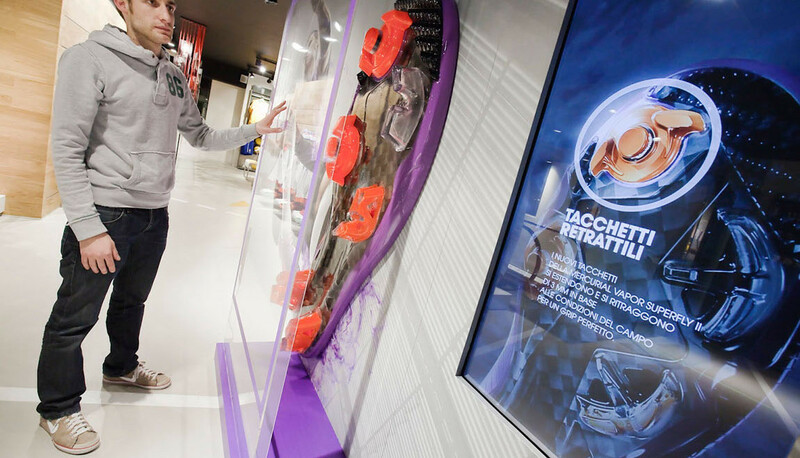 The installation was composed of a 1,5 meter reproduction of the outsole, linked to a touch-screen digital device showing the shoe’s features. 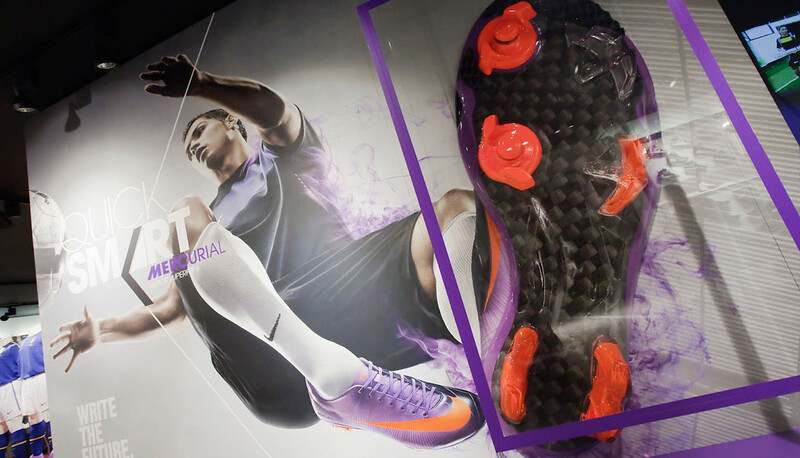 It was installed in NikeMilano and NikeTermini.